The Prince Rupert Gymnastics Association (PRGA) gained a top-level head coach this summer. 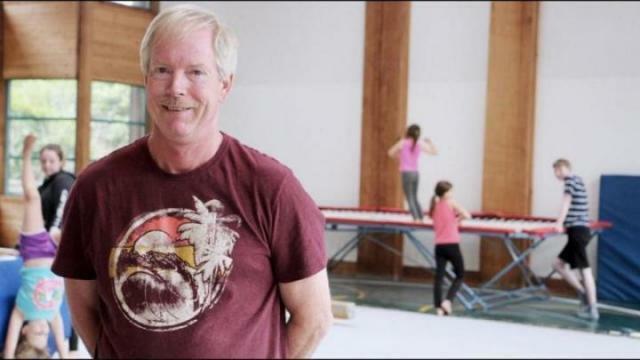 Head coach Bill Tyrwhitt arrived in Prince Rupert this month to lead the Prince Rupert Gymnastics Association to success. Tyrwhitt and the club are currently looking for new coaches to train to help move the program forward. The Prince Rupert Gymnastics Association (PRGA) gained a top-level head coach this summer and he has big aspirations for where he wants to take the club. Bill Tyrwhitt has been coaching for more than 30 years, in Ontario, B.C. and Alberta, and has coached Olympians, medalists at the Commonwealth games, national champions and global competitors. He joined gymnastics when he was eight-years-old in Cambridge, Ontario and was on the Cambridge Kips Gymnastic Club’s first competitive team. When he was 18 years old, he was drafted as a coach, and by the time he was 21 he was one of the youngest national coaches in Canada. Prince Rupert didn’t have a gymnastics club for 25 years until two years ago when Jackie Touchet and three others formed the PRGA. The board fundraised for equipment and ran classes on the weekend. When the club found a permanent space at the Museum of Northern British Columbia, they also started looking for a head coach and Touchet said they were not expecting someone as experienced as Tyrwhitt. “The way he runs the camps and the classes, the kids love him. We took a leap of faith and it has surpassed our expectations over the moon. The feedback has been amazing,” Touchet said. The club started a summer camp when Tyrwhitt arrived with his 15-year-old son Michael who is a Level 1 coach. The camp runs in the mornings, afternoons or full days with 1.5 to two hours of gymnastics, then outside activities and arts and crafts. Summer camp will run until mid-August. In September, the PRGA will run from Monday until Saturday with a full range of programs for all ages. There will be a parent and tots program to introduce the basics of gymnastics; kindergym for ages three to five; girls and boys development recreation will teach the fitness and gymnastics fundamentals; teen gymnastics; and there may even be adult fitness or trampoline classes. Tryouts will also be held in September for a competitive stream program. “Our intention is not to rush the kids off to competition but to develop the love of the sport first and to develop the higher level skills without the pressure of rushing off to competition. Give them a good year of development first,” Tyrwhitt said. He added, if there are a couple of rising stars they will give them the opportunity to compete. Another goal is to fundraise for more equipment as the club grows. The membership is currently at 100, and the club hopes to raise that to 150 gymnasts by September and 200 by February. Last year, Tyrwhitt was the head coach for the Kitimat Dynamics Gymnastics Club, where he had one provincial champion in Level 6, third place all around in Level 7 at provincials, gold medal performances in competitions in the Lower Mainland, and the top team in the north at the Prince George competition. One of the reasons Tyrwhitt decided to take the head coach position in Prince Rupert was how impressed he was by what the PRGA was able to accomplish in only two years. He also loves the community and the lifestyle, and he’s already bought himself a boat. The full-time coach for the gymnastics club is also a master cabinet maker and furniture designer with a hobby in boat building. But his true love is coaching gymnastics.